These settings impact your Recipe settings only. The Recipes Settings area impact only the Recipes card type by Create. Read on for more information about these settings and what they mean for you. By default, Nutrition is enabled on all Recipe card types. If you'd like to use our Nutrition calculator, you'll need to register the plugin first. It is super easy, and just involves giving us your email address. If you'd like to disable nutrition on your Create cards, you can do that here. We do not recommend it! Google requests this information for the schema, and it is our opinion that if Google wants it, we should give it to them. 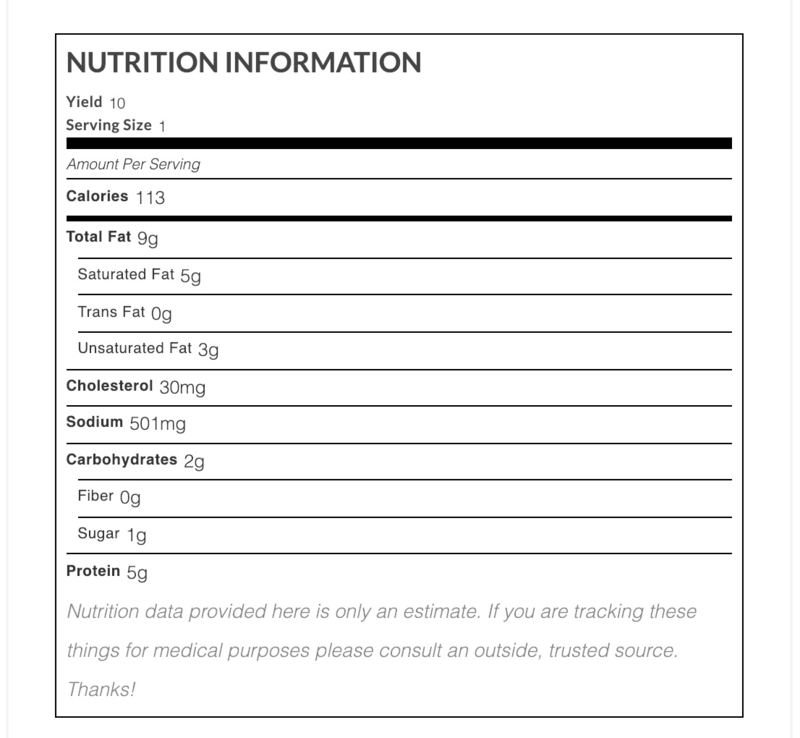 This option will place a Nutrition "label" in your cards instead of a more compact, text-only nutrition display. For additional questions, suggestions, or comments please email create@mediavine.com, or use the chat bubble below to reach out!